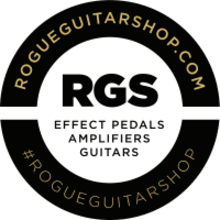 Specializing in high-end used electric guitars and new top-brand effects pedals, Rogue Guitar Shop is here to help you get the sexiest tone on the stage, in the studio or in your bedroom. 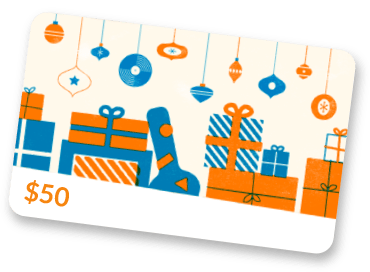 We offer the top brands in musical instruments and equipment, with the latest and greatest gear available delivered free straight to your door. Our lineup of stompboxes includes the most innovative brands of the day and the best of what has been tried and true. We may be a small outlet; nevertheless, the dealership collections we make available are continually growing. The brands we carry range from Fulltone, Voodoo Lab, Pigtronix and Diamond effects to the standards of Boss, Ibanez, MXR and Dunlop. Here at Rogue Guitar Shop, we offer the best prices and service in the business. Anyone of our staff is happy to provide advice or answer questions relating to any of your gear needs. If we do not have an item listed, please submit an inquiry for the gear you want, and we will get it to your door in the same time frame as items in stock and still beat the competition. So don't hesitate to ask! "Thanks so much for your excellent service. Your selection of products is outstanding, your purchasing process is very user friendly, and the prices are the best. Thumbs up on the speed of your shipping, much faster than others (GC & MF). Your store will definitely be my go-to-shop when I need new gear. I only wish I had discovered your store years ago." "Hey guys, I just wanted to send a quick thank you. I've ordered a handful of pedals from RGS over the past few months and you've always been easy to work with, but this time you went above and beyond. I needed a new power supply for my pedalboard by a specific date, and you guys not only found one when you thought it was out of stock but then you ran it down to the post office to make sure I'd get it in time. Thanks for going the extra mile!" "Over the past year, I have discovered RGS means great selection, knowledgeable (and fast) service and competitive prices. Free shipping and great return policies too. Easy-to-use website and quick ordering. What more does a musician need?" We are the faster growing effects retailer for the savvy shopper, the dealership collections we make available are continually growing. The brands we carry range from Fulltone, Voodoo Lab, Pigtronix and Diamond effects to the standards of Boss, Ibanez, MXR and Dunlop. Enjoy our site and let us know if there is anything we can do to make your experience better.